Now that all the gifts have been unwrapped, the stockings emptied and the bellies filled, it’s almost time to get back to business. But before we return to the grind, author Julie Anne Lindsey is here to help ring in the New Year with some words of wisdom and a DOUBLE giveaway! 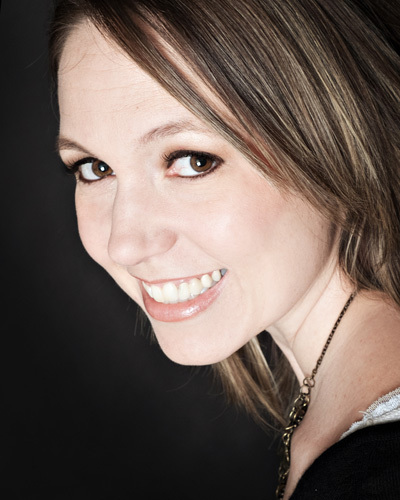 With a “seize the day” mantra and loads of enthusiasm, Julie is beyond passionate about her craft. In just a few years, she published nearly a dozen novels and novellas with small publishers, and recently landed a cozy mystery series with Carina Press (a digital imprint of romance giant Harlequin). She equates the “big six” publishing world to an overcrowded swimming pool, and she won’t sit still until she’s fully immersed in the water. Well, let’s hope she has a towel nearby… because it seems she’s pretty darn close. After the interview, leave a comment for a chance to win an e-copy of either DECEIVED (young adult suspense) or MURDER BY THE SEASIDE (cozy mystery). Please specify which one you want, or I’ll assume you’re interested in either. For someone whose writing career only officially got started in 2011, you’ve published a crazy number of novels and novellas—ranging from romance to mystery to thriller. Which is your favorite? Wow. Okay. That’s really hard. ::taps chin:: Um. I’m deeply attached to most of my characters and stories for different reasons, so this is an insanely difficult question! Lol. 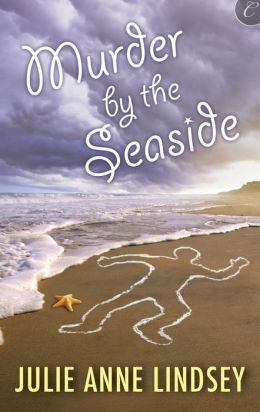 I think I’ll say the October cozy mystery release, Murder by the Seaside is my favorite at this moment in my life. I pick this story because it was an underdog. It was on submission for months and I thought it was sunk — headed to the file drawer with so many others, but my agent called and voila! Carina Press wanted it along with two sequels. So, I feel like it has a victory story. The next installment, Murder Comes Ashore, arrives in March 2014 and the final manuscript is now in the hands of my editor. Writing this set of stories opened a new world to me. I had no idea I could write a cozy mystery until I tried. On top of that, the heroine is based on a dear friend of mine I met in kindergarten who now works for the FBI, despite the fact she was always more giggles than gunfighter. And I based the story on Chincoteague, Virginia, a tiny island town I visited in 2007 (four years before being an author crossed my mind). The island impacted me. It was surreally beautiful and hauntingly separate from everything else. I loved it. Six years later and I can’t get that town out of my head. Thank you Carina Press for taking a chance on my debit cozy! Why do you write? What do you want readers to take away from your work? I write to subdue my overwhelming imagination and curiosity. It’s crowded in my head and over the years I’ve tried many things to busy the creative energy. Lots of things worked. Temporarily. None of them lasted the way writing does. I wish I could say something cool about what I want readers to take away from my stories, since I basically just said I write to quiet the voices. Lol. I wish I wrote to give others a brilliant insight or profound notion of some sort, I don’t know. I’m just not that deep. All I want readers to get from reading me is an escape and a laugh, maybe a tear and a measure of hope. I want to give readers a reprieve from their life. Make them smile and set them on their way, back to face whatever’s next for them. In addition to authoring up a storm, you are mother to three and run a very popular blog called “Musings from the Slush Pile.” How do you find the time? Ah. Well, my facade is working. ::twists evil mustache:: My online goal is to seem professional and “together” but the reality is that my family and I are late for everything, we eat more sandwiches and salads than home cooked meals and my blog is sorely neglected these days. I do too many things to really master any of them, but they’re all important and I hate to miss out on anything, so I just keep swimming. (I even quote Dori from “Finding Nemo” sometimes). I try to put my family first — when they’re home. Everyone’s in school now, so I get six hours to myself for the first time ever, and I use as many of those hours as possible to write. When I’m under a deadline, I skip sleeping and barely change out of my pajamas, but hey. I’m not complaining. I love my life and everything in it, so I juggle and say prayers of thanks regularly for a full life where I am wanted and needed and blessed with opportunities to really live. In 2012, you began your writing career with Turquoise Morning Press, a small publisher that specialized in romance but also publishes other genres. Why did you decide to start with them? Did you consider self-publishing as well? I never considered self publishing. I knew from the start I wanted to be traditionally published. My dream is to land a big six contract, but I know that takes persistence, hard work and a bit of luck as well as proper timing.Until then I needed a way into publishing. A place to hone the craft, grow roots and establish a readership. I submitted to Turquoise Morning Press because I’d made some online writer friends who’d worked with TMP in the past and enjoyed the experience. When I saw a submissions call for a new line of books based on a small, rural Ohio town, I wrote something for them right away. I know Ohio well and I saw an opportunity. Lucky for me, TMP accepted my submission and has since published three of my Honey Creek novellas and two novels, as well as a contemporary YA mystery in their Barefoot Books line. See? Very lucky! Carpe Diem, ya’ll. Spreading the word is one of the most daunting aspects of publishing with a smaller press. What did you do to get your titles out there? Oy. I don’t know that I’ve made a difference in sales though my personal marketing, but I’ve tried everything. I attend conferences geared toward my new releases, like the World Mystery Convention or Killer Nashville when my mysteries are releasing. I attend romance reader events closer to romance releases. I email ahead and get on panels during the events to help put my name and titles in the spotlight that day. I use my blog, Twitter, Facebook, and other social media to meet readers. I do giveaways and book signings and visit libraries and writers’ guilds where I give a presentation on a topic related to writing. I do guest blogs and blog tours and had a killer book trailer made for my September release, DECEIVED. I use my affiliations to garner some press, too. I belong to Sisters in Crime, the Society of Children’s Book Writers and Illustrators and International Thriller Writers. Those groups have newsletters or websites where I can announce releases or be featured in an article. I do whatever I can, mostly because I enjoy it and I make it a habit to say “yes” to every opportunity. You obviously did something right, because this year you released DECEIVED with Merit Press (an imprint of F+W Media), as well as MURDER BY THE SEASIDE, with Harlequin’s digital imprint, Carina Press. What have you learned about the industry during this climb? How does publishing with these larger houses compare? Publishing with Carina is amazing. Carina works closely with Harlequin and they have teams of people assigned to various tasks in the publishing process and a pretty firm calendar. There’s no waiting or wondering when I’ll get my cover art or editorial letter or copy edits, etc. I know from the beginning what’s expected of me and what I can expect in return. It’s wonderful. Carina authors are part of the Harlequin Author Network and they give authors support and encouragement on everything from online promotion to craft. It’s been really cool to work with Carina. Merit Press is a new imprint of a large company (F+W Media), so there’s a mix of things happening there. On the one hand, the line is new so we’re kind of like guinea pigs, but on the other hand, our fearless leader, Jacquelyn Mitchard, is an acclaimed author whose book Oprah happened to choose for the inaugural Oprah Winfrey book club book, so I’m in good hands 🙂 I have a publicist at F+W who handles my Merit publicity, like entering DECEIVED into contests and creating giveaways and finding opportunities for me to blog at large blogs or do signings. She got DECEIVED into the hands of reviewers at Kirkus and Publishers Weekly. Also, DECEIVED is in all the catalogues for libraries and bookstores to order, so it feels great when I walk into a store and see it on the shelf or pass a local teen carrying a copy they borrowed from their library. Those are a few of the benefits to working with bigger presses. I’m very happy with both experiences and for the small press who gave me a chance two years ago. I think it’s important to know what you want and how you’re willing to get there. If you only want a big six deal for this one manuscript, then I guess you rewrite and rework it until you find the agent who can get it sold. That happens. It does. So you go for it. Work that story until it sells! Every published author has a different story. This is a very personal journey. A big 6 contract is my goal, but I’m also in a hurry to be read, so I looked for fast opportunities to get started. I imagine publishing as an overcrowded swimming pool and I want in. It seems full, but I keep walking the perimeter, sticking my toe between people, hoping to touch water. I figure once I get a toe in there, I’m making progress, right? So, I’m using every contract, every exchange with an editor, every marketing experience to learn and I’m applying my new information. Hopefully, a big six contract is in my future, but until then all I can do is keep writing and keep submitting. To those of you afraid to submit. What the heck did you write it for? Submit it! What have you got to lose? Don’t fear rejection. Use the reasons for the rejection to strengthen your work and your resolve. Hey, no one will chase your dream for you. They just won’t. You have to do this. Grab onto your dreams and pull them in tight. If you’re truly a writer, it’s a calling, not a career choice. I don’t know a single writer who could stop writing if they tried. Writers write. We can’t help it, and if you’re going to do the work of writing the manuscript, why wouldn’t you submit? If no one publishes it, who cares? BUT. but but but what if someone does? Are you willing to risk missing out on that? No way. I’ve just started a new cozy mystery. I’m really excited to see this story take shape. I think it’s adorable and I want to read it, so now I just have to write it, lol. I have a YA fantasy ready for submission with my agent and a YA romance on the back burner waiting its turn for my attention. Lots of noveling in my future. On days when noveling feels too daunting, I write fanfiction for one of my fandoms. I’m obsessed with the show “Arrow” on the CW, specifically his relationship (or his lack of relationship) with his “it” girl, Felicity. I LOVE that more shows geared to young audiences are featuring strong smart female leads. I explore them with fanfiction when the television writers move too slowly. Which is often, lol. To win a pdf copy of either DECEIVED or MURDER BY THE SEASIDE (see above for details), please leave a comment below specifying which you’d like to receive. The giveaway will remain open until 11:59 p.m. Thursday, January 2, at which point we’ll pick a winner at random. Best of luck to you all! Great interview and advice for aspiring writers. Rach E! I am such a devoted YA nut! I can’t get enough teen stories to read and no matter what I start out writing, I usually end up with a YA. I am intensely drawn to this genre. SO glad to meet another YA lover! Rach E! I am such a crazed YA reader. I can’t get enough of this genre and it seems all my new stories end up as YAs or they are abandoned in favor of a new YA storyline LOL Glad to meet another YA lover! Good Luck! Great interview. Would love to win Deceived. Great giveaway! Thank you for the giveaway! I enjoy reading. happy New Year! Thank you for the interview with Ms. Lindsey. I would love to win a copy of Deceived, although both books looks interesting. Thanks Ann. I’m so glad you stopped by! Really interesting interview and I absolutely loved Deceived. I would love to read Murder by the Seaside! I am so happy you loved Deceived! I squeed a little before I hit reply LOL While Murder by the Seaside isn’t a YA and it’s more giggles than thriller, I think it will make you smile 🙂 *fingers crossed* Thank you for the comment and good luck today!!! I love the author’s answer to the question “Why do you like to write?” So insightful. I also love the questions you asked Ms. Lindsey! Wow…both books look good. I love a good cozy mystery. However, Deceived good and is a book that both myself and my teenager daughter would like. So Deceived it is 🙂 (I hope). Crossing fingers, toes and eyes for you and your daughter, Andra! Great interview! I was very encouraged by Ms. Lindsey’s comments on submitting work even though it may be rejected. I would love to win a copy of “Murder by the Seaside” – I love mysteries. Thanks Hadassah. EVERY writer faces rejection. The secret is to shake it off and keep on going! Great interview! Both books look great, but I have had Deceived on my TBR for a while now. So I would love to win a copy of Deceived. Thank you and Happy New Year! Hi Julie Anne, Would love to start the year off right and win a copy of Deceived, it looks like a great read! Hi Maryann! Your comment made me smile! Now my year is off to a great start! Thank you for your comment and best of luck today!! I’d choose Deceived for the giveaway. So true! I had so many teacher notes sent home telling my parents my imagination was out of control LOL Haha on them 🙂 Who knew I’d parlay that trouble making into something useful one day. Dreamers gotta dream. Writers gotta write. Howdy! I’d love to win a copy of Deceived. Looks like a great book! Good luck in the new year! Great interview! I loved Deceived and can’t wait to read more work from you. Taneesha, can I tell you I read your comment twice and flailed. You read Deceived!! And you loved it! I want to hug you so hard right now. *dies* THANK YOU! I’ve always wanted to read her works. I would like to win Deceived. Really want this one! Great interview! Thanks Kristen. So glad you stopped by! Oh….this guy! If you guys are looking for amazing YA, there’s a little powerhouse book out there called The Namesake. Find it. You’ll devour it. October! What?? We need to get this taken care of 😉 Good luck Nicole! I would LOVE to win a copy of deceived! It’s on my to-read list and looks SO good! I hope you pick me! My giant cheesy smile is painful and ridiculous now. Thank you so much for this comment! Best of luck today!! MURDER BY THE SEASIDE PLEASE!! Know what it’s like to work in between three kids–we have two boys and a daughter–now grown with children of their own. Now our six grandchildren take up our time, but there is always lots of time for reading and reviewing in my schedule. BTW–we are east coasters too. My boys used to go to the running of the horses on Chincoteaque Island, as Boy Scouts. Such a beautiful place, but they always returned with many souvenir horse fly bites! I literally clapped when I read your comment! Chincoteague is so surreal and fantastical in my mind. I wish I could load up a bus and take people there! You’ve been there! I feel a connection with you now. It’s an amazing place. I’m rooting for you today! Great interview, I would love to win deceived! I love that you talk about Chincoteague – I visited there with my family years and years ago while on vactaion. I’d grown up reading the Marguerite Henry books – Misty of Chincoteague and all the rest – and wouldn’t let my parents get any rest until they’d taken me out to the island while in Viginia on a family vacation. Did you also get out to Assateague and see the wild ponies? Yes, I’m obsessed. That swimming pool is thankfully a big one. I think you’ve done some amazing things thus far and really delighted in reading this interview. Thanks for the look behind the scenes. I love it SO MUCH that you’ve been to Chincoteague. I wish everyone could visit the island at least once. We made the trek over to Assateague too. Flat out amazing. There are 3 books coming in this series and it’s still not enough to satisfy my need to write about the island LOL I love it there so much. Best of luck today! Thank you for your comment!. I would love to read Deceived! I will definitely check out her cozy mystery though too because I love that genre. Deceived has been on my TBR on goodreads for a bit and I am dying for it! Very nice interview, would love to win a copy of Deceived! Thanks for letting me know about this Laura!!! Murder by the Seaside. I love mysteries. I would love to win a copy of murder by the seaside I love this author and read her other book! I live for escapism LOL!! Any book that can sweep me away for a while is exactly what I’m looking for 🙂 Good luck today! Deceived! Would LOVE to read it! Deceived is on my TBR list but either book would be great. Thanks for the chance. Loved the interview! I would love to win a copy of Deceived 🙂 Honestly, I think I would enjoy Murder by the Seaside just as much, so it really doesn’t matter which, I’d be happy with either. I love a good cozy mystery! 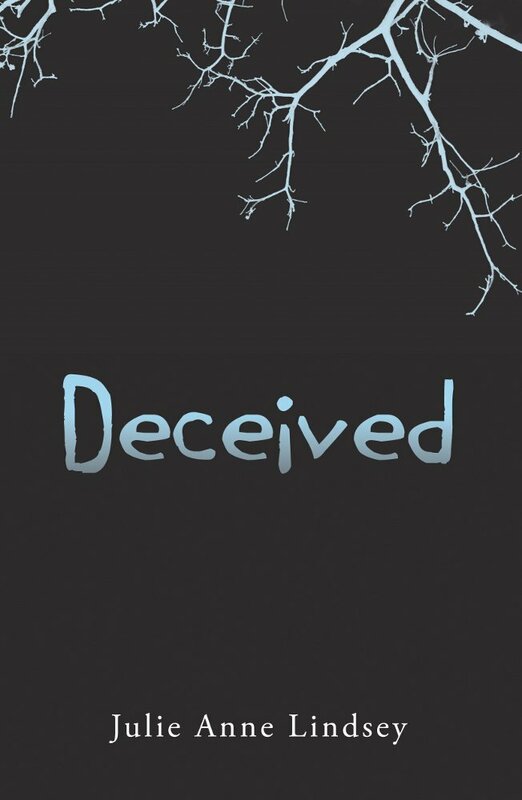 I am not usually a YA fan but I do love suspense so looking forward to reading Deceived too. Great interview! Both of these books sound fantastic! I love YA suspense, and cozy mysteries too! I would love to win a cope of Deceived, It has been on my to read list for a while but I just haven’t had the time or money to get a copy. Deceived was the first book I read and loved it! I would like to win a pdf of Murder by the Seaside. Great interview! Would love to read Deceived, I love suspense! Thanks for the chance to win! I would love a copy of Deceived. What a fantastic interview, what an accomplishment! I would love to read Deceived! interview. Deceived as been on my TRL for quite some time. I’m definitely reading Julie Anne Lindsey’s books this year.